Everything was great especially parking, elevators and breakfast. The staff was very helpful and friendly. Location and spectacular water view. Fantastic pool area. Amazing amazing views! 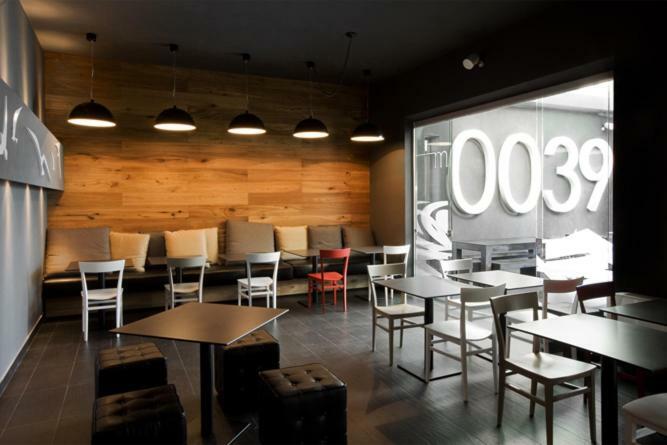 Staff was so helpful and the space was huge with private terrace with lounge chairs. One of the highlights of my trip. I took a ferry there and it was gorgeous and bus was so easy to catch to the train station. A great room with an ocean view and large sun terrace. The private beach and pool area was very clean and really enjoyed being able to have a swim in the sea and then go up to your private terrace for a sunbake. The property was an easy walk into the main town of Portovenere with lots of good restaurants on the way into town. Easy to catch the ferry to the other towns in Cinque Terre from Portovenere - about a 10 minute flat walk around the sea front from our residence. Early check was available on arrival which was a bonus. Breakfast had a good selection of food and really nice coffee and service. When we arrived at the property we were in complete bliss!!! The sea was less than 100m away!!! Our room had an amazing view and had a balcony. It felt like we were on the water! I truly wish we could have stayed longer! 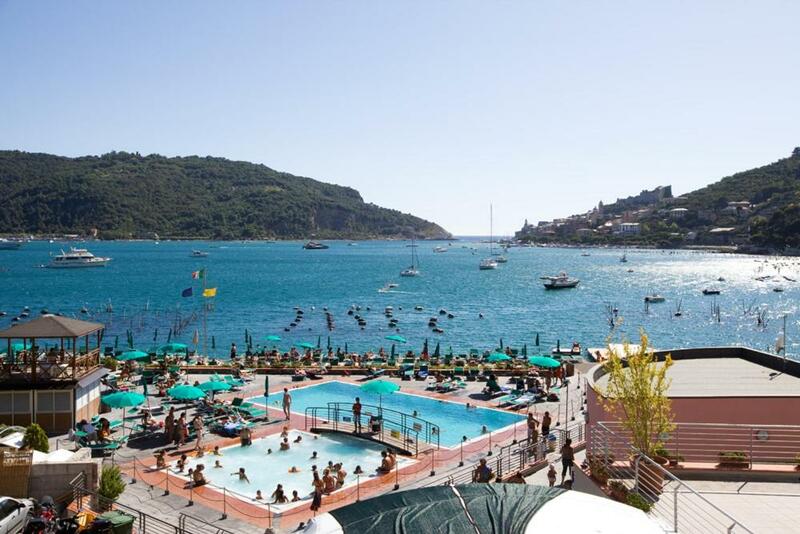 This hotel is located immediately across a small street from a little public beach, so has great beach access and a very nice open unobstructed view of the Portovenere seaside. We had a nice little terrace on which we enjoyed a nice snack of bread, cheese & wine. The room was very spacious and quiet. 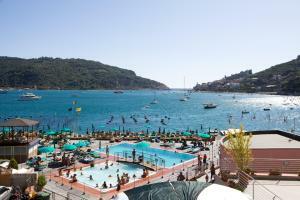 The best place in portovenere to stay at. No problem with parking , 2 steps from the beach. The hotel faces directly to the harbor, so we had a perfect view from the balcony. Parking is right in front of the hotel, so very convenient. Staff is really nice and helpful. Room is clean and standard, with all the basics we need during the one night stay. 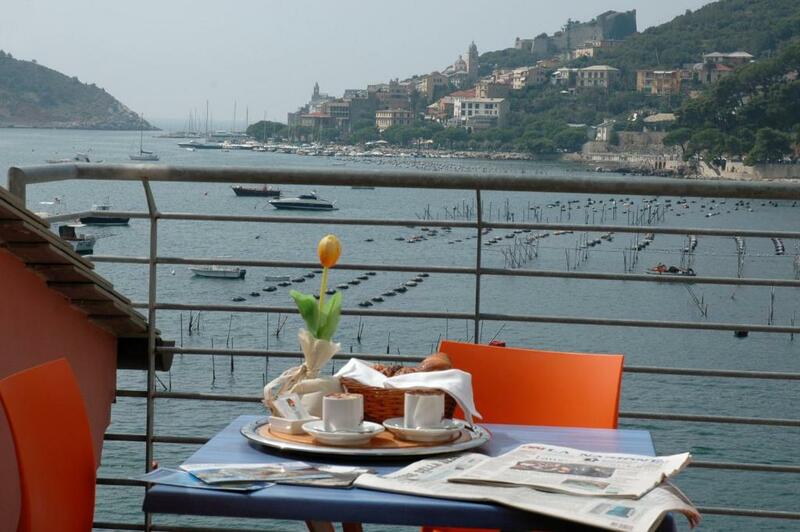 Lock in a great price for Residence Le Terrazze – rated 8.4 by recent guests! Residence Le Terrazze This rating is a reflection of how the property compares to the industry standard when it comes to price, facilities and services available. It's based on a self-evaluation by the property. Use this rating to help choose your stay! 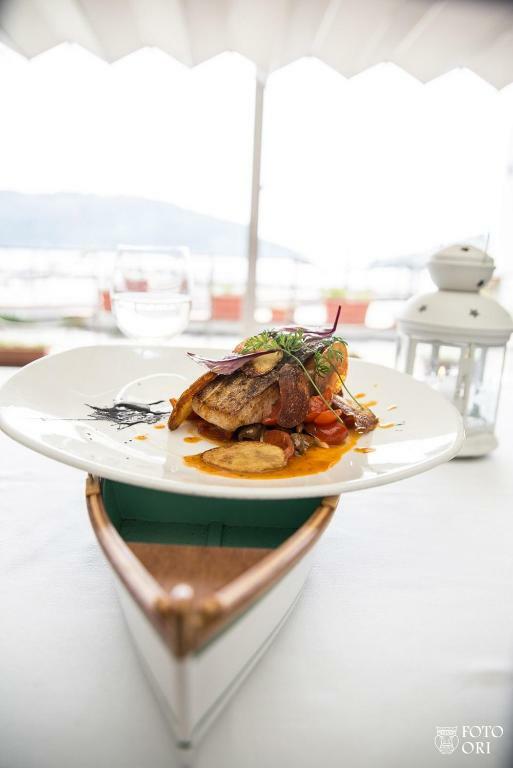 One of our top picks in Portovenere.Featuring a private beach with sun loungers and parasols, Residence Le Terrazze is set on the seafront in Portovenere, overlooking the Poet’s Gulf. It offers an outdoor pool and rooms and apartments with a sea-view balcony. Modern rooms and apartments at Le Terrazze include a TV, air conditioning, and private bathroom with hairdryer. The apartments come with a kitchenette and dining area. 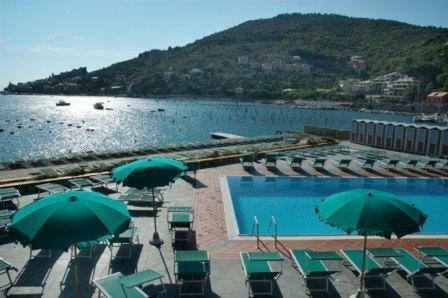 La Spezia is 9.3 mi from the property, with regular train links to the Cinque Terre National Park. 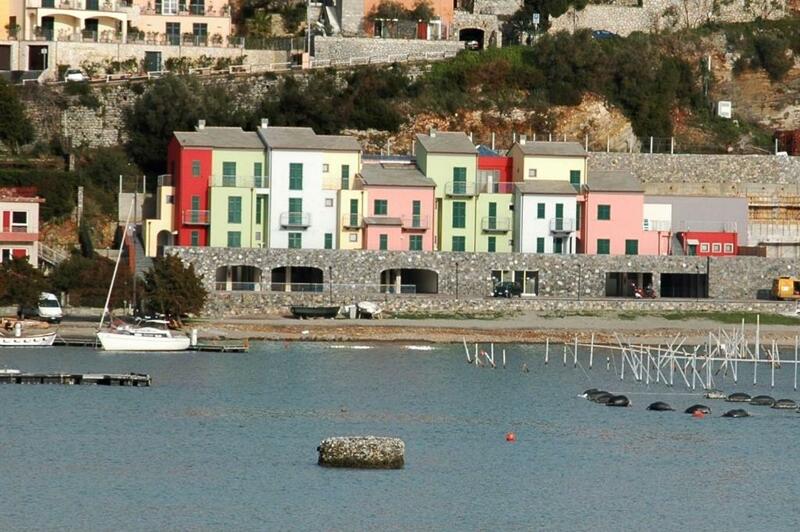 뀐 Located in the top-rated area in Portovenere, this property has an excellent location score of 9.0! When would you like to stay at Residence Le Terrazze? The double rooms with sea view are equipped with all modern facilities. The triple room with sea view is equipped with all modern facilities. Breakfast: Breakfast is included in the room rate and will be served in the bar from 8 a.m. to 11 a.m.
Offering a sea-view balcony, this spacious air-conditioned apartment includes a kitchenette, dining area, and TV. The private bathroom has a hairdryer and free toiletries. House Rules Residence Le Terrazze takes special requests – add in the next step! Residence Le Terrazze accepts these cards and reserves the right to temporarily hold an amount prior to arrival. Please note that daily cleaning is available at an additional fee if you book an apartment. If you book a room it is included in the rate. 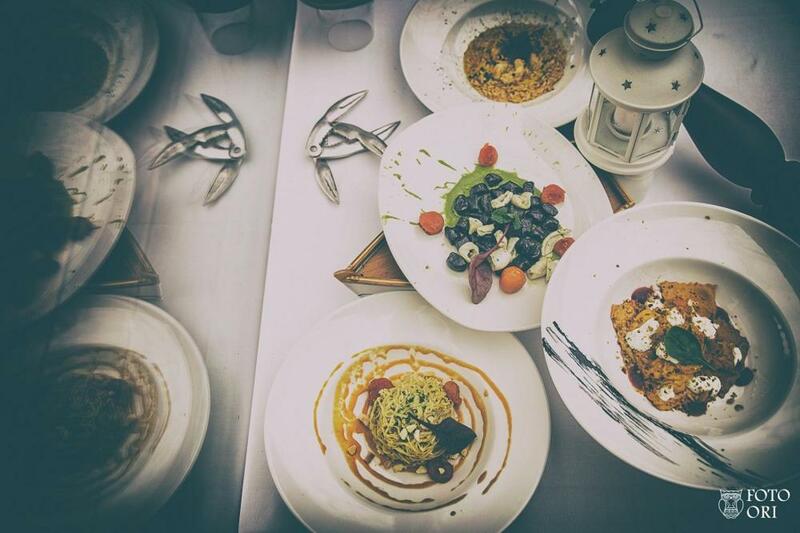 When booking half board, please note that wine and dessert are not included. If you expect to arrive outside check-in hours, please inform the property in advance. On Mondays, check-in after 20:00 is not possible. Please inform Residence Le Terrazze of your expected arrival time in advance. You can use the Special Requests box when booking, or contact the property directly using the contact details in your confirmation. I booked an Appartment in a Residence. See name Residence Le Terrazze!!. We had an apartment with all facilities but no stove and we were told we rented a Room... ridiculous! The facilities and everything was great. The cannot give a room and then say the Aircon is not included. They say all facilities normally accepted and normally accepted these days in a hotel Room is a kettle with complimentary tea or Coffee. This was not available nor the use of installed stove which is there as per photos. Poor planning and probably bad management seem to be a problem and if it is a Residence and Appartment one expect a heating facility like stove of kettle! Everything above expectance for a very good prize! A little off the beaten path. However the views and location with the water right there make it great. Loved the view from our room, could sit out on small balcony and see the lovely view towards Portovenere which was a good 10-15 minute walk along the shore. Room was clean, breakfast was okay, coffee was good. 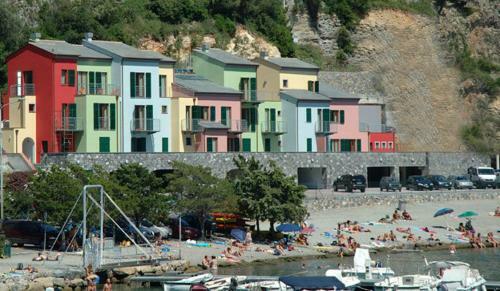 Parking was a major plus as it's almost impossible to get parking nearer to Portovenere. There are 2 good restaurants nearby, the rest are closer to the town. Loved the location. Overlooks the bay, great views. Use of swimming pool and sea swimming and also pebble beach. Cafe beside pool serving coffee, ice cream, lunchtime food. A few eateries in the locale or 15 min stroll along footpath beside the sea into Portovenere. We had a fabulous terrace beside our room with space to lie out, and what a view! The distance! if you stay more than 2 days maybe you can manage it! Staff to smile and greet more that what they do! We loved the view from our room, was very peaceful and relaxing! Excellent location at a dead end off the main one-way road system of the town which meant there was no noisy traffic. Free parking for guests. Enormous terrace with table and chairs, parasols and sun loungers overlooking the beach and the whole bay. Our flat had a nice and spacious bedroom and the bathroom was also nice. Location and proximity to the sea. No WiFi in room, front desk staff complacent and unfriendly. Overpriced. The location is still superb, the view from the balcony still beautiful. Ample parking. Great views from terrace. Very helpful and accommodating staff.